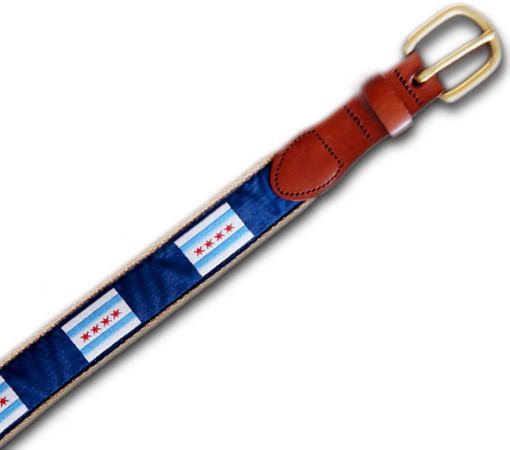 Representing the Windy City, this belt proudly displays the Chicago flag with a bit of preppy flair. Your belt size is 2" more than your pants size. So if you wear size 34 pants, get the 36 belt.